After a second round of Anthony Weiner's sexually-explicit chats and photos hit the Internet Tuesday, the New York City mayoral candidate held a press conference to apologize and make this much clear: he will not be dropping out of the race. 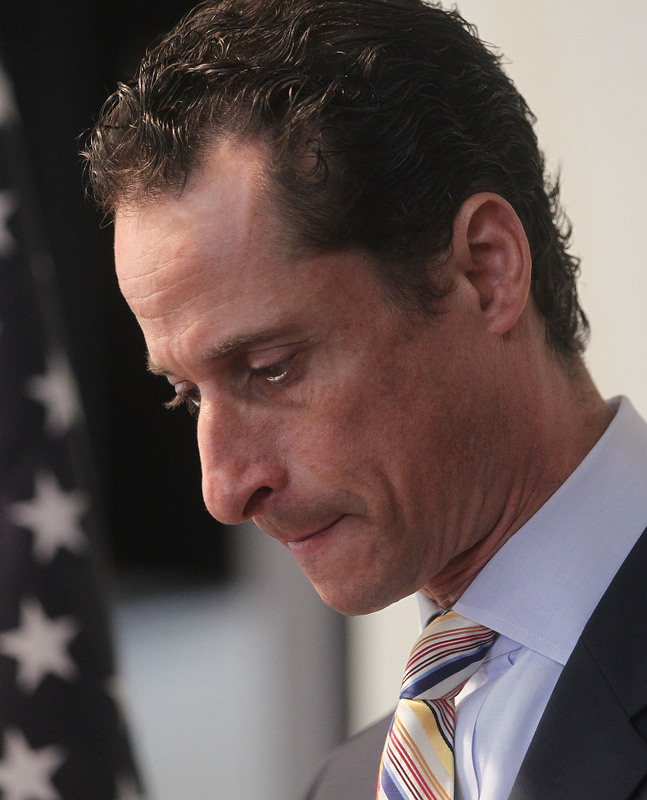 Weiner admitted that some of the sexually-explicit exchanges posted on The Dirty happened before his initial resignation...and some happened after. He also added that "some [allegations] were true; some where not." "You'll have to bear with me. I'm very nervous, it's the first time I've spoken at press conference," Abedlin said. She confessed that "it took a lot of work and a whole lot of therapy" to forgive her husband, but then said firmly, "I love him. I have forgiven him. I believe in him. As I've said from the beginning, we are moving forward." When the two finished speaking, Weiner walked away as a female reporter shouted after him, "Why should we trust your judgement?"